Born: 27 December 1831, Cape Town, South Africa. Died: 6 February 1872, Kimberley, South Africa. James Chapman, explorer, naturalist, trader and hunter, was the son of James Chapman, bookkeeper, teacher and amateur botanist, and his wife Elizabeth H.H. Greeff. He was educated mainly at home and at the age of about 13 left Cape Town to work for a merchant in Durban. In 1848 he was in Cape Town again and back in Natal worked for a few months as a clerk in the Native Affairs Department, Pietermaritzburg. In October 1849 he left Pietermaritzburg on a trading expedition to the Transvaal. He opened a trading store at Potchefstroom, where he met Thomas Baines*. In addition to trips to Natal to sell produce and replenish his stock, he also went on some hunting trips in the western Transvaal and collected zoological specimens. Problems with the Boer settlers probably made him decide to become a trader and elephant hunter. In May 1852 he set off with several others on the first of a series of hunting and trading expeditions. They hunted in the region north of the Botletle (or Boteti) River, returning in November. Upon his return to Potchefstroom he closed his business there. In March 1853 he left on an expedition northwards as far as the Chobe River and to Lake Ngami. He returned to Kuruman in February 1854, suffering from malaria. In May that year he set off for Matabeleland, accompanied by the missionary Robert Moffat. However, they parted at Shoshong. Chapman went on to hunt in the Lake Ngami region, before returning to Shoshong in October 1854. On his way there he explored unknown territory north-east of the Makarikari Pans and discovered the Gwai River. With the hunter Samuel H. Edwards he set out in November 1854, travelled to the Botletle River and then northwards, reaching the Chinamba Hills (now in the Chobe National Park, Botswana) in January 1855. After hunting there they followed the Botletle River to Lake Ngami (May 1855) where they met Frederick J. Green* and J.A. Wahlberg*, with whom they travelled some distance up the Taokhe River. They then proceeded overland via Ghanzi to Walvis Bay, where they arrived in November 1855. They were the first Europeans to take ox waggons over that route. Chapman went on to Cape Town, but returned to Ngamiland in Novermber 1856. On 12 May 1857 he married Catherine C. Roome, with whom he had two sons and two daughters. He and Edwards then opened a store at Oudtshoorn. However, early in 1860 he was back in Namibia, where he travelled from Walvis Bay to Lake Ngami, intending to reach the south bank of the Zambesi River. His ideal was to open the Zambesi River for trade via Hereroland and Lake Ngami. The attempt failed and he was back in Cape Town in March 1860. He also established a cattle station at Otjimbingwe, from where, in January 1860, he wrote a long letter to the Governor of the Cape Colony, Sir George Grey, describing his attempt to reach the Zambesi and remarking on the desiccation of the Lake Ngami region. The letter was published as "Notes on South Africa" in the Proceedings of the Royal Geographical Society (1860-1861, Vol. 5, pp. 16-20). Chapman left Cape Town again in December 1860 on his last attempt to reach the Zambesi. He and Thomas Baines travelled to the upper Zambesi via Hereroland and Lake Ngami, reaching the Victoria Falls in August 1862 after experiencing many delays and problems. Their intention was to travel down the Zambesi River to the East Coast in boats. However, they had to turn back because of malaria, dwindling supplies, friction in the party (though not between Chapman and Baines), and heavy rains. They reached Otjimbingwe in August 1863. Chapman tried farming there and near Windhoek, but it proved impossible owing to the insecurity associated with the first Nama-Herero War. He returned to Cape Town in September 1864, in poor health, and for some time worked in the customs department in Cape Town. Subsequently he was appointed superintendent of a convict station for road building in the Knysna district, and then in the George district. He returned to Cape Town in 1868,. His "Description of a new species (?) of Quagga from South Africa" was published in the Proceedings of the Zoological Society of London in 1865. In 1870 he visited Damaraland and hunted in Ovamboland as far north as the Kunene and Okavango Rivers. 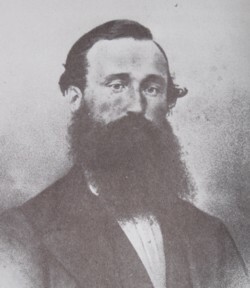 The next year he went to the diamond diggings at Du Toit's Pan (now Beaconsfield), near Kimberley, where he died of fever and dysentery in February 1872. Chapman's fame as one of the greatest explorers of southern Africa rests mainly on his book, Travels in the interior of South Africa, comprising fifteen years' hunting and trading; with journeys across the continent from Natal to Walvisch Bay, and visits to Lake Ngami and the Victoria Falls..., a two volume work published in London in 1868. The manuscript was edited, considerably shortened, and republished in 1971. The various manuscripts relating to his travels are held by the Chapman family, the Africana Library in Johannesburg, and the National Library in Cape Town. He was one of the greatest pioneers of his time, and penetrated some areas that had not been visited by Europeans before. He had wide interests (he spoke Tswana and completed vocabularies of several indigenous languages), and good powers of observation. Even though he had no scientific training, the book contains much information about the climate, flora, fauna, and ethnology of the regions visited. As an enthusiastic and knowledgeable naturalist Chapman collected geological specimens, insects, plants, and ethnological material. In 1863 he donated Coleoptera, as well as native ornaments and weapons, to the South African Museum, but unfortunately most of the zoological specimens were spoiled. Further presentations were made the next year. He also made a large collection of plants in the neighbourhood of Lake Ngami, but this too suffered much in its long journey to Cape Town. It was forwarded to W.H. Harvey* at Dublin by E.L. Layard* of the South African Museum. Harvey acknowledged Chapman's contributions in the preface to Volume 3 of the Flora Capensis. Chapman was one of the first explorers to use a camera on his travels, from 1860 onwards. He was the first to photograph the desert plant Welwitschia mirabilis, and managed to take photographs around Walvis Bay and on the way to Victoria Falls under very trying circumstances. He used a stereoscopic camara, which took two photographs simultaneously from slightly different angles. All his negatives were sold to William Moore of Cape Town. Chapman received little recognition during his lifetime, partly because he was a modest and self-effacing person and partly because his Travels were initially poorly edited. However, in November 1867 he was elected a Fellow of the Royal Geographical Society. He is commemorated in the name of the plant species Pancratium chapmanii, and there are plants collected by him in the herbarium at Kew Gardens. Two species of southern African non-marine molluscs, Stenogyra chapmani and Sculptaria chapmanni, were also named after him. Cape of Good Hope. Report of the trustees of the South African Museum, 1863, 1864. Chapman, James. Travels in the interior of South Africa, 1849-1863 (ed. by E.C. Tabler). Cape Town: Balkema, 1971, 2 vols. Clement, A.J. Chapman Khama, the story of James Chapman. Africana Notes and News, March 1967, Vol. 17, pp. 195-215.